The manufacturer is ramping up efforts that began in 2018, The Korea Herald said on Wednesday. “Based on the  L6 project, BOE was able to clinch a deal with Huawei to supply OLED panels for flagship phones,” one source commented. At the moment Apple’s only iPhone OLED suppliers are Samsung and LG, mostly the former. Samsung has long led the OLED market, and was initially the only supplier with the capacity to meet Apple demands. There’s no sign yet that BOE has received certification from Apple, or even sent samples. At the same time it would make sense for Apple to adopt a third supplier if BOE can meet quality standards. 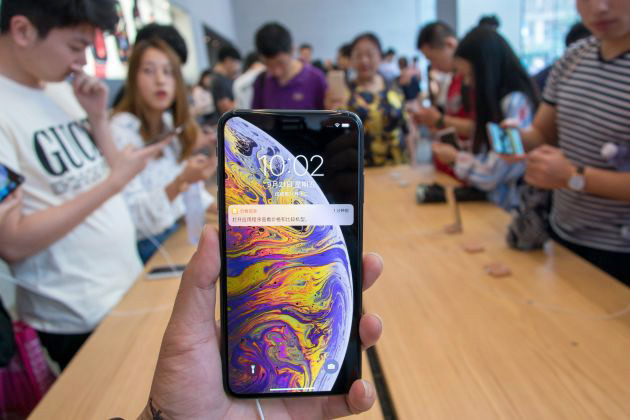 The high prices of the iPhone XS and XS Max can be blamed squarely on OLED technology, which is much costlier than LCD in no small part because of the rarity of manufacturers. OLED enables starker contrast with lower power consumption. Like BOE, Samsung is working on embedding touch within OLED screens and hoping to use in this in iPhones, the Herald claimed. That could potentially make them even thinner and lighter. What might put a damper on BOE’s ambitions is poor iPhone sales, a problem since the December quarter. On Tuesday separate research by Longbow and JP Morgan indicated that Apple’s supply chain is reflecting weak demand — Longbow added that people are even searching for iPhones less often on the Web, in fact 47 percent less on China’s Baidu.